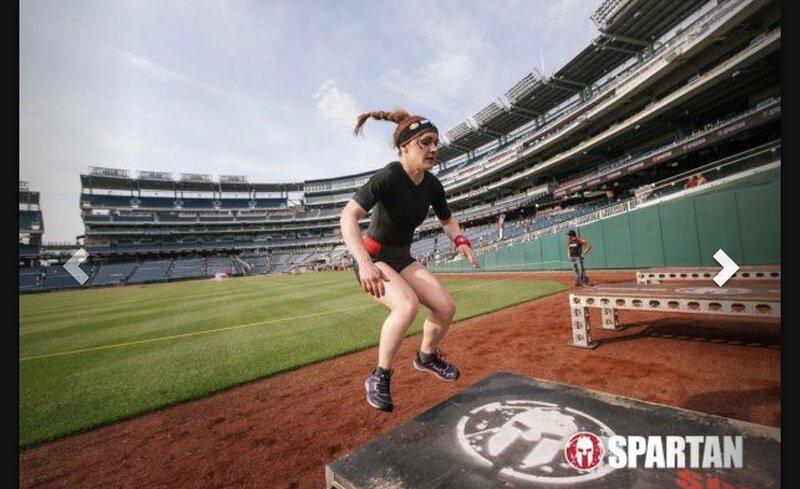 Team Mantra Fit is taking on Spartan Sprint Race at Nationals Park in Washington DC on May 11th. To help us conquer stadium steps, sand bags, rope climbs, obstacles and anything else Spartan throws our way, we will be leading specialized trainings in March, April and May, led by coaches Carleen Birnes and Casey Tinney. Register for all the trainings, or pick what suits your schedule best. Our trainings will advance your lower body power to pounce up stadium steps and build upper body strength so you can pull and push your body weight over walls, across swinging rings and climb ropes with confidence! To join our Spartan team, sign up at spartan.com/en/race/detail/5085/overview and choose to join team Mantra Fit. Our start time is 1:15 pm. To save extra, grab this Groupon deal! We will meet at Severna Park Studio to caravan to Nationals Park. More details to come! Join our Spartan Team FB Group for location changes/announcements! Show your team unity by purchasing a Team Mantra Fit race shirt, made from sweat wicking performance fabric. We will follow up to receive your size preference when we’re ready to place the order (April).